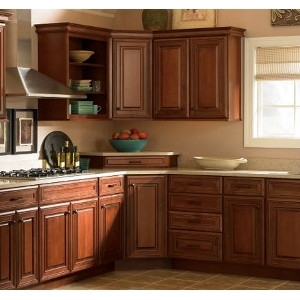 Kitchen & Bath Cabinets | 41 Lumber - Serving Iron Mountain and the U.P. From the design of the doors and drawers fronts – to the choice of materials, finishes, hardware, and storage – Kemper provides years of performance and pleasure. Click here to learn more! Kemper Cabinets are built with all the advances of modern engineering but full of old-world flavor and traditional beauty. 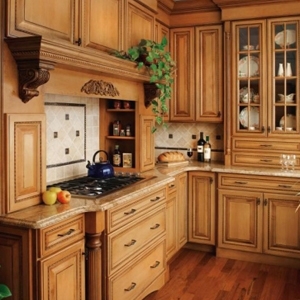 Whether you are looking to build or remodel a kitchen or pantry, the cabinetry is probably the most noticeable part of the project. 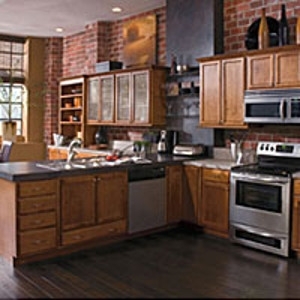 Decora offers an array of cabinetry styles, finishes and options to create the look that expresses your personality -- plus functional features that suit your lifestyle. Whether it's gourmet cooking for two or entertaining a crowd, Decora defines your style. Who says the hearth should always be around the fireplace? 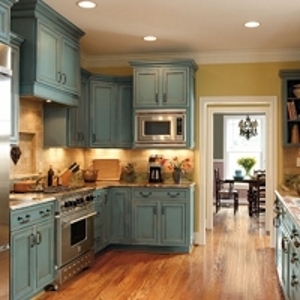 Decora´s versatile product line can make any space the center of your kitchen’s attention. With its light, glazed wood and exquisite embellishments, this kitchen proves you can make a statement with cabinetry, while still staying warm, rustic and inviting. Click here to learn more! 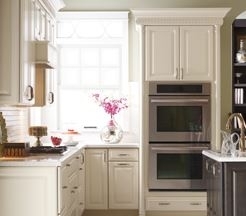 Whatever style of kitchen cabinets you choose, from traditional to contemporary, Kemper will bring your vision to life with distinctive elegance. Click here to learn more!